The operation of simulation software very often requires a lot of expert knowledge to build up and program complex models. This is not the case with Simufact Forming: The user can focus on the engineering-related details of the forming process. He does not have to deal with the physics of the forming process, nor with simulation-specific details. 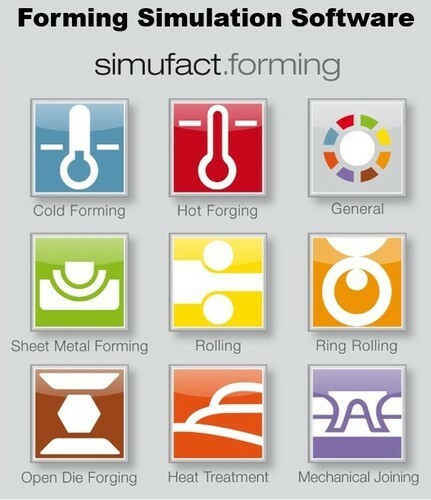 Simufact Forming is application-oriented as well as easy and fast to master. NIHA SOLUTIONS, pioneers in the field of providing CAD/CAM/CAE products and solutions, to all engineering industry verticals and domains, be it for industrial or academic requirements. Founders have more than 27+ years of experience in CAD/CAM/CAE products and engineering services. Founders have been serving customers in INDIA and OVERSEAS, since 1990. We offer cutting-edge technology solutions to all industry verticals like, Mechanical, Production, Manufacturing, Civil, Construction, Factory Automation, Surveying and Mapping, Electrical, Electronics, Instrumentation, Mining, Metallurgy, Industrial, Prototyping etc.